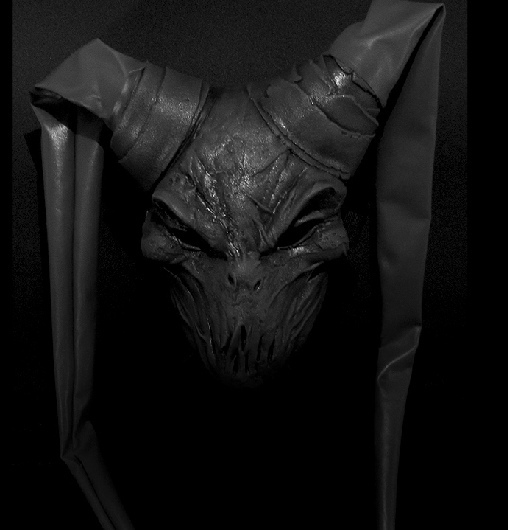 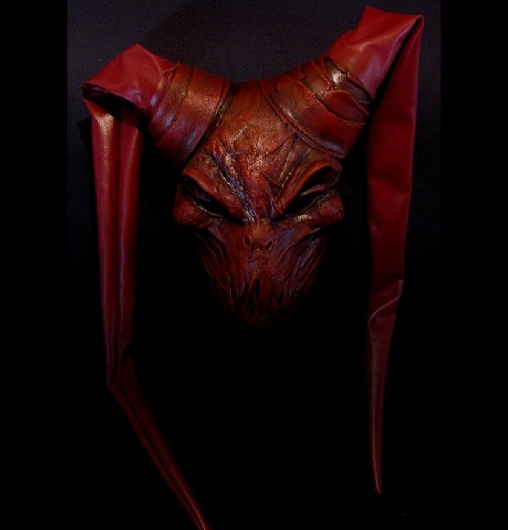 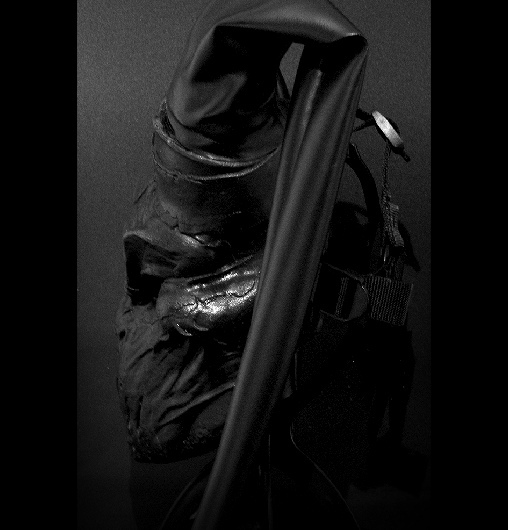 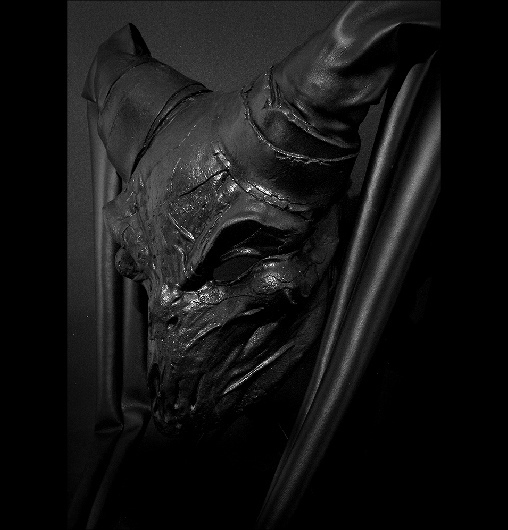 A demonic style jester face mask, cast in thick heavy duty latex, leathery looking sculpture with a rictus grin, features long leatherette headdress. 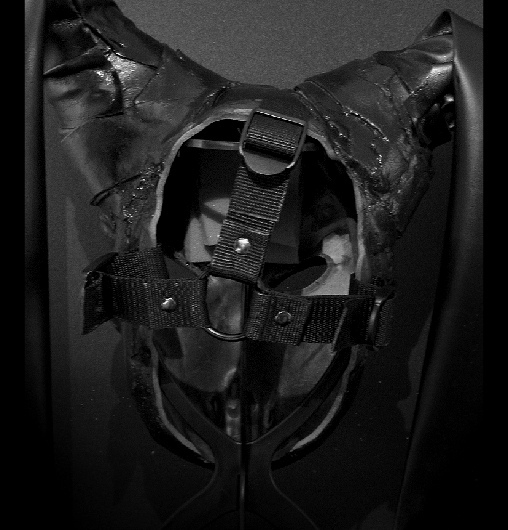 This mask has the usual polypropylene straps and plastic buckles. 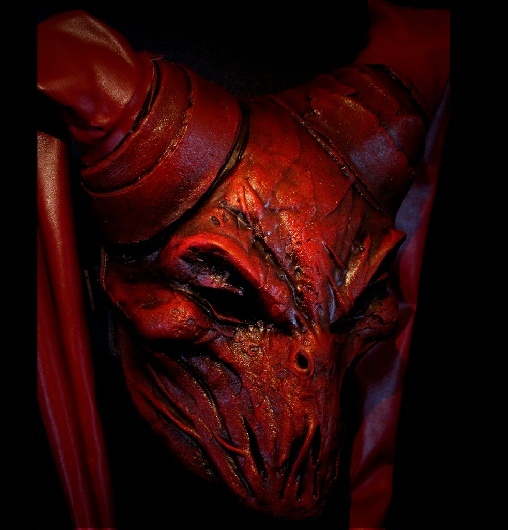 CAN BE ORDERED IN RED, PLEASE ADD IN NOTES ON THE PAYPAL IF YOU’D LIKE THE RED OPTION.